The Valley of Roses sits at the foot of the High Atlas Mountains in Morocco, where the mountains meet the Dadès Valley. It is irrigated by the Asif M’Goun river and its main village is Kelaat M’Gouna. 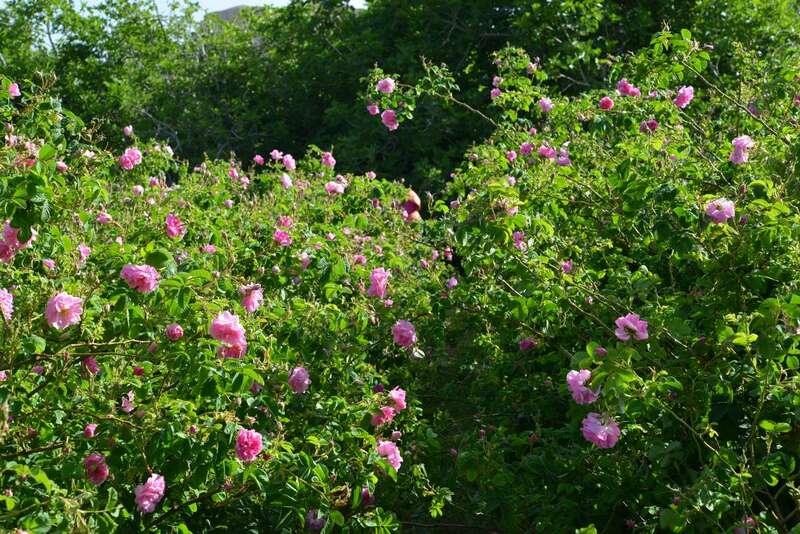 Rose cultivation takes place in two distinct geographical areas: the first begins at around 10 km from Kelaat M’Gouna village and continues for 10 km, ending near the town of Boumalne Dadès. 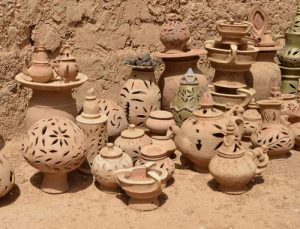 The second growing area, and by far the most important and most interesting to tourists, begins at Kelaat M’Gouna and continues along a secondary road that climbs due north to the village of Bou Tharar at its far end. 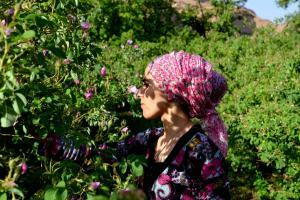 This offers around thirty uninterrupted kilometres of rose cultivation along the wadi. This verdant valley, lying beneath an ochre canyon, is an incredibly beautiful landscape and is one of Morocco’s major tourist sites. Starting from Kelaat M’Gouna, following the riverbed. Go past two quite surreal yet very photogenic partially-abandoned ksours, before continuing towards the village of Tabarkhacht. The first leg of the route ends in the village of Hadida in the heart of the Valley of Roses, a unique setting. You will have covered approximately 17 km on foot. 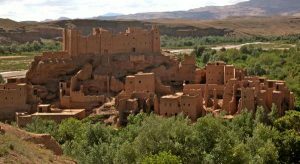 Several accommodation options are available for spending the night in the village of Hadida, including the Kasbah des Roses, which distils roses on site, and which you can visit. 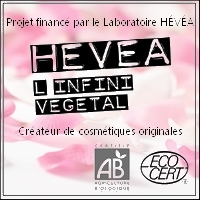 You can also purchase certified organic rose products there. This trip can be made using muleteers to carry bags and other heavy items, as well as children. On the second day, departing from the village of Hadida, continue the journey along the riverbed, surrounded by steep ochre cliffs, to Tourbist, a charming little authentic village. The route ends in Bou Tharar, which is undoubtedly one of the most beautiful villages in the Valley of Roses. This second leg of the journey is even more attractive and not to be missed if taking a 1-day walk from Hadida. If you only have a few hours, the best option is to leave from the Kasbah des Roses in the village of Hadida, and join the riverbed below. Pass by a wooden ford to reach the other side of the river and find the true heart of the Valley of Roses. Lose yourself in its maze of tiny unspoilt paths before reaching Tourbist. Although the Valley of Roses offers a uniquely special charm during the rose blossoming season, its charm continues throughout the year. Each season has its attraction: in summer, the mountain climate and bathing in the river offer a cooler alternative for those who find the heat of the savannah stifling; spring has its blossoming roses; autumn enjoys perfect temperatures and the clear sky is at its best for stargazing, while in winter the days are sunny and ideal for excursions on foot or by 4×4. A large souk is held once a week in the village of Kelaat M’Gouna. Producers from across the region come to sell their products in a friendly atmosphere. Prices at the market, which sells craft products as well as foodstuffs, are cheaper than in traditional shops. There are many excursions led by an experienced tour guide departing from the villages of Hadida and Bou Tharar to the summit of Ighil M’Goun, the Agouti gorges, the Aitmrou gorges or the more famous Dadès and Todra gorges. The Valley of Roses is located at the confluence of the most important sites in southern Morocco, such as the Merzouga dunes, the Drâa Valley towards Zagora, as well as Jbel Saghro, between the High Atlas Mountains and the Sahara desert. The Rose Festival or Moussem of Roses takes place on the second weekend in May and lasts for two days. 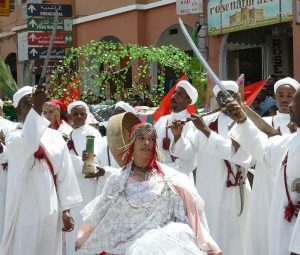 Many festivities take place, including performances by folk groups and the Miss Roses contest, whose winner then takes part in a procession on a decorated float. Traders from all over the region come to sell their specialities and handicraft products. This rather ‘kitsch’ festival would be even more beautiful if real roses were used, rather than plastic flowers and artificial rose scents. However, we predict that the event will soon become a celebration of the real thing.